Take on Baltimore in a Certified Pre-Owned Land Rover Range Rover. Whether you’re catching a ball game at Oriole Park or heading on an off-roading adventure, a Land Rover model is a powerful, reliable option. And when you choose a Certified Pre-Owned Land Rover Range Rover, you can count on saving money while being certain that you’re getting a vehicle that’s in great shape. Visit us at Land Rover Annapolis today to test out the capabilities of the Land Rover Range Rover! Why Choose a Land Rover Range Rover? Ready to conquer the streets of Arnold in a Land Rover vehicle? 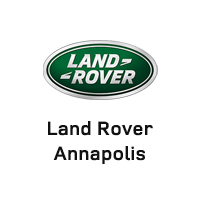 Invest in a Certified Pre-Owned Land Rover Range Rover at Land Rover Annapolis today!